A3 flip chart explaining how to grow soybean. Produced at a write-shop in Kenya facilitated by ASHC. A3 landscape poster outlining the benefits of inoculation. 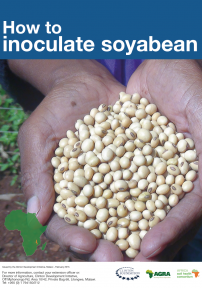 Produced at a write-shop in Kenya facilitated by ASHC for farmers in Zambia.